Become the Kid. Restore the Bastion. 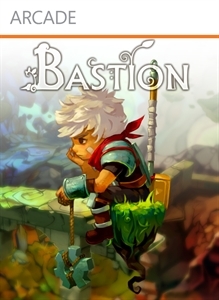 Bastion was the start of the 2011 Summer of Arcade, and is one of the finest Arcade games out there. With a great story and excellent visuals, the premier game from Supergiant Games really delivered on everything it promised. What makes Bastion stand out is the Audio. Throughout your adventure, your actions will be narrated by another character in the game named Rucks. From your weapon load-out to the actions you make, Rucks will be there commenting on the moves you'll make as the Kid. The only other game I can think of having something like this was Crackdown, but that announcer slowly began to annoy, but fortunately Rucks never does. The story in the game is very interesting as well. After the calamity, the game's type of Apocalypse, the Kid awakes and finds himself to a place called the Bastion. When he arrives he is greeted by Rucks who explains that there is a way to fix what has happened with the help of shard scattered throughout. Once the shards are found, you must take them back to the Bastion. Of course things are not that simple, so expect about 5+ hours of finding out the truth. The game's length is fine to me, and you can even restart with a New Game+ and go through with your upgraded weapons and skills. Aside from the visuals and audio, Bastion's gameplay is top-notch. Combat is fun and allows for experimentation with the nice arsenal you'll have at your dispoal, and every weapon you'll find can be upgraded to deliver even more damage to your foes. 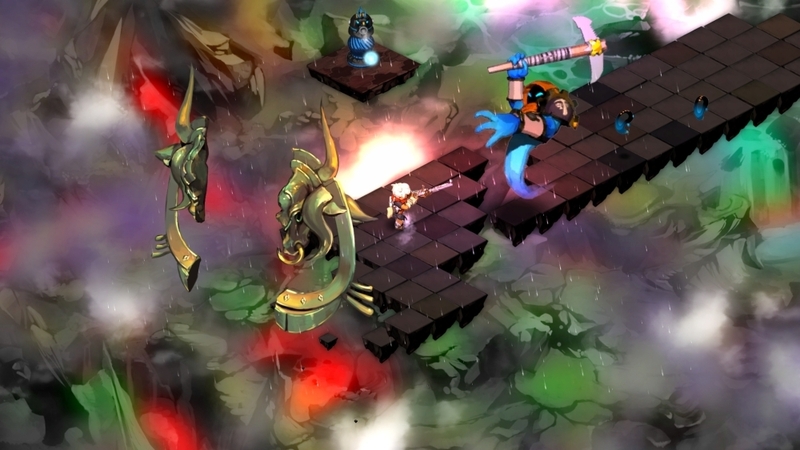 The enemies are all varied as well, so finding the right combination is key when facing the various enemies in Bastion. 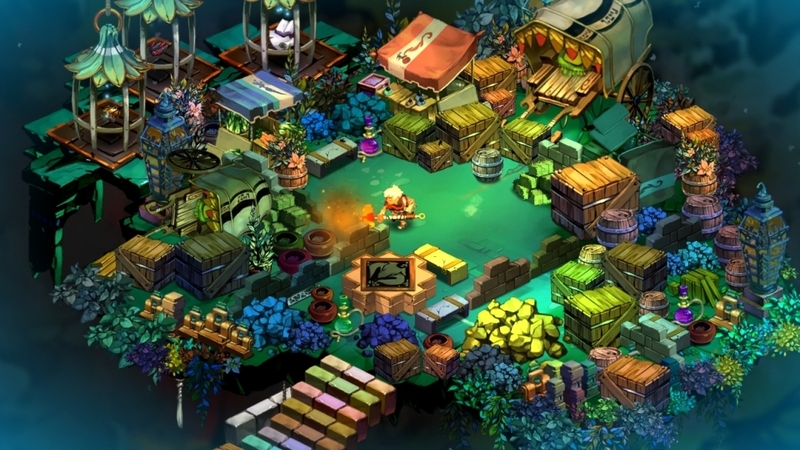 What I like about Bastion is that is a new experience that feels familiar. It reminds me of classic Action/RPGs like Secret of Mana, but is also benefited with unique elements like the addition of a narrator. Bastion is well worth the 1200 MSP it asks for and really stands out in the XBLA crowd. The story, visuals, and gameplay are great, as well as the audio and narrated story. 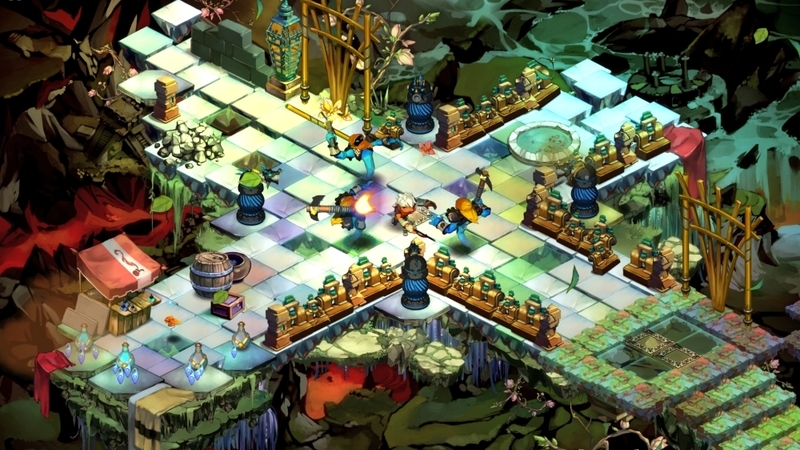 With Bastion, Microsoft saved the best for first in it's Summer of Arcade line-up.